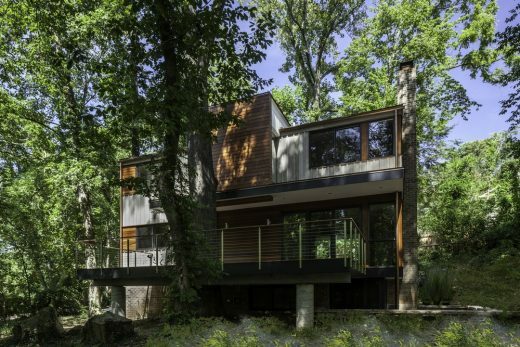 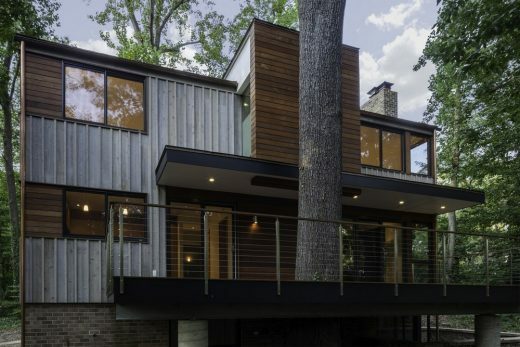 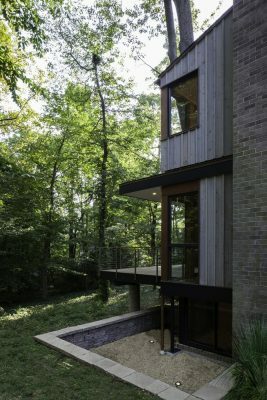 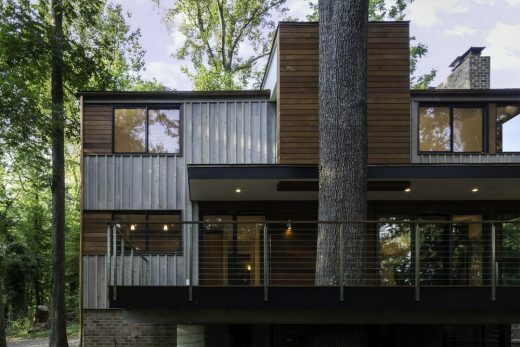 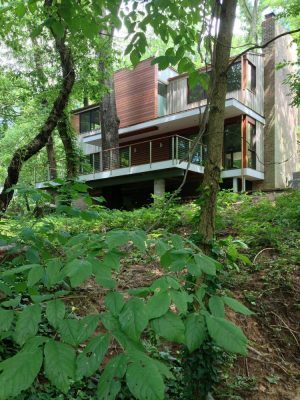 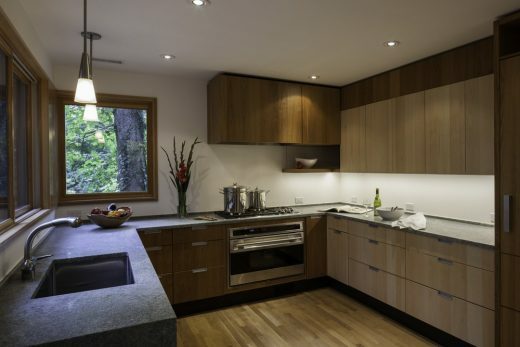 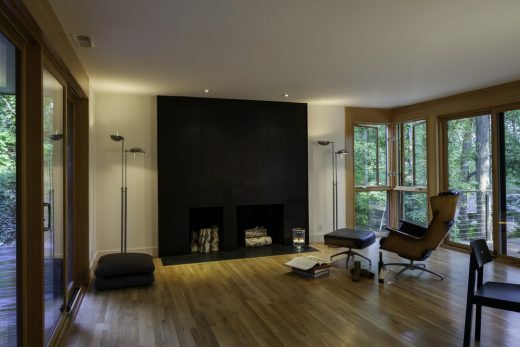 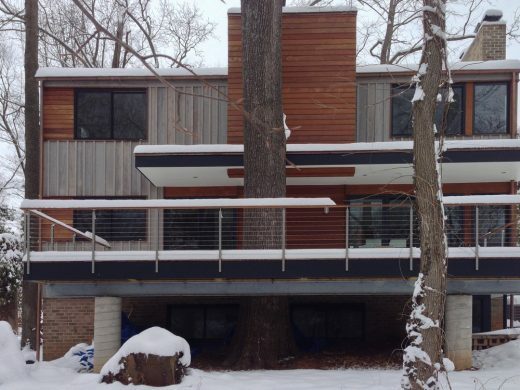 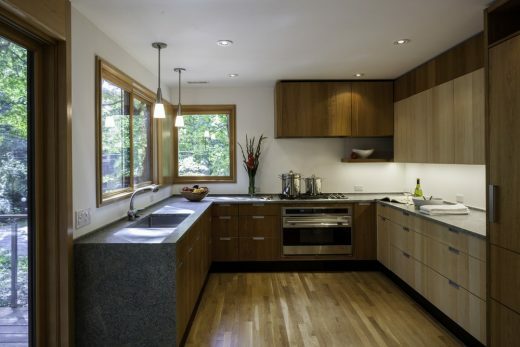 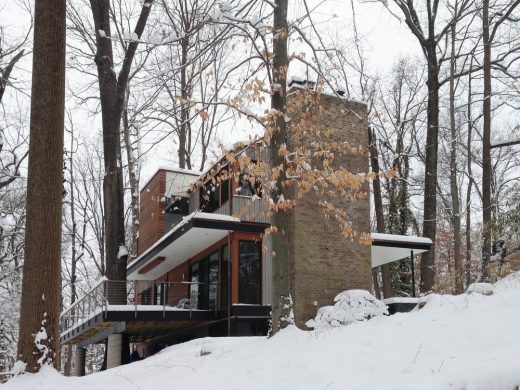 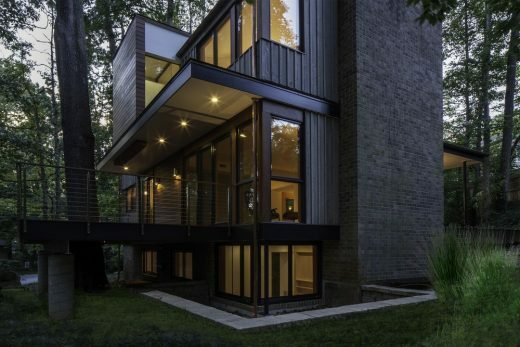 This house, built in the 1960s, faces south on a wooded lot in Bethesda, Mary- land. 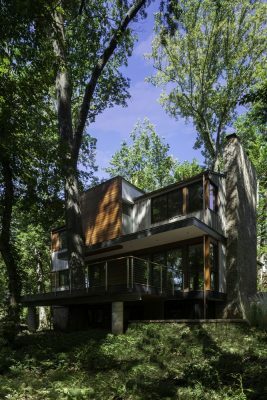 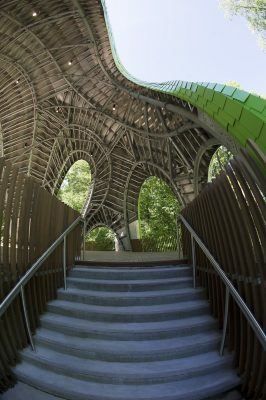 The house had limited and lifeless connections to its site, and a dearth of habitable spaces that adjoined the landscape. 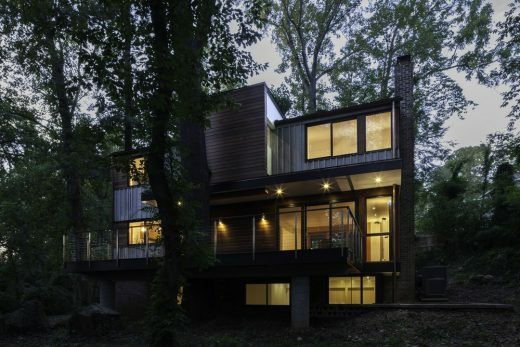 With excessive energy consumption, poor construction characteristic of its era compounded by considerable deterioration as the baseline condition in which we found the home, the house then suffered a major blow–burst pipes rendered the house uninhabitable. 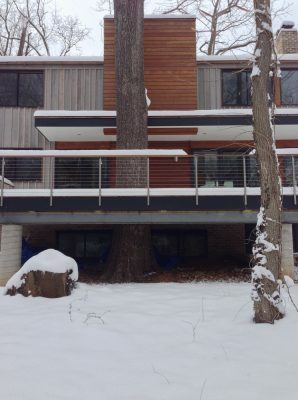 This last event prompted the owners to either raze or resuscitate their home. 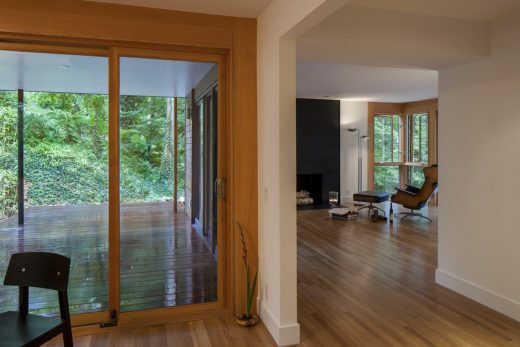 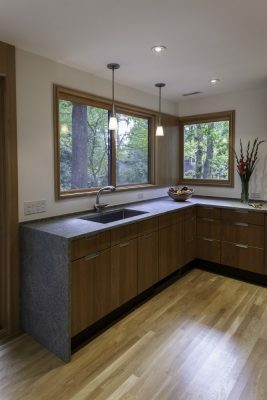 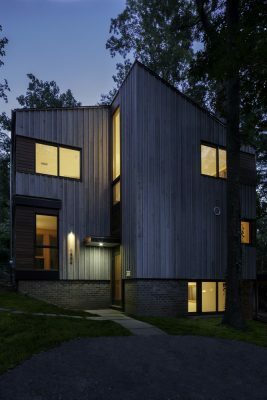 The renovated home includes 25% increased fenestration with glazing type and area tuned towards exposure, and a new building envelope achieving a 35% improvement over the new International Green Construction Code code baseline. 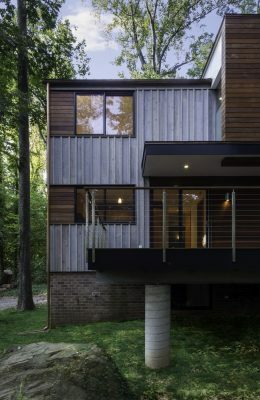 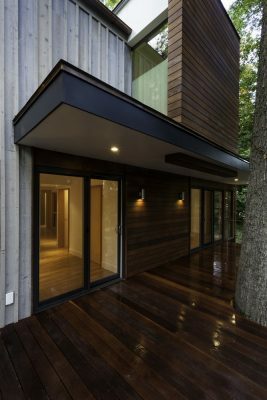 Bringing in daylight and natural cross ventilation, the new design maximizes the benefits of available sun in winter and abundant shade in summer provided by the wooded context while retaining the tie between house and site that inspired the original design.